MP: What is the relationship between your spoken voice and your written voice(s)? SMS: They don’t even know each other real well. When I performed this piece for the Flapperhouse room, I literally felt like I was reading someone else’s words. I mean, I was angry when I wrote it, sure, but it wasn’t blind rage. I remember how it felt. But that’s my poem voice, and when it tries to come out my mouth there’s just a disconnect. But that’s OK.
MP: I’ve heard you’re working on a gothic homage to your hometown of Peoria, Illinois. What form is that taking/ will it take? What attracts you to goth as an aesthetic? What are some ways Peoria inspires you? SMS: I think there’s something extremely romantic about anticipation that makes you nauseous. The thicker the atmosphere, the better. Peoria, if you ask me, is atmospherically a disorienting fog of residual energy– false starts, high times, great losses, bruised egos, tragedy, all hanging in the air. The small town pastoral is sort of metaphysically blanketed in unease. It’s great. There’s so much local lore, it’s easy to get carried away talking about it. But that’s probably every writer’s hometown, right? This particular story is about a young woman who lands back home to find that the place she’d always trusted as a friend feels sinister all of a sudden. She suspects her hometown has slipped into another dimension. It becomes her chapel perilous, throwing her all kinds of red herrings. Inexplicable things start to happen. She goes dizzy trying to decipher messages that may or may not be supernaturally gifted her, maybe by a coyote that keeps coming around, maybe seeping from a hole in her bedroom wall… Honestly, I can’t even say for sure. MP: What are you reading, listening to, watching these days? SMS: I’m reading a collection of Surrealist short stories called The Custom-House of Desire. Also, I picked up this book long ago called Moon Madness and Other Effects of the Full Moon by Paul Katzeff that I’m finally starting. I’m listening to a lot of binaural beats (no joke, I’m trying to heal every ailment this way) but also a fair amount of Grails, Planningtorock, Earth, Timber Timbre, Bonobos, Guided By Voices (always) and a podcast called TANIS. I’m watching interviews with psychopathic children on YouTube. MP: Who comes to your dream gathering of writers and artists, living and dead? SMS: Anais Nin, Remedios Varo, Frida Kahlo, Carl Jung, Anne Sexton, Charlie Kaufman, Freddie Mercury, Michelle Obama, Virginia Woolf, David Bowie, Alice Notley, Jack Parsons, Annie Dillard, Leonard Cohen, Me. You. Would you come? It’s a gathering of sweet souls. We’ll all be apologizing every time we reach across one another at dinner. MP: Do you have any rituals around writing or performing? SMS: I resist all carnal pleasures in the 24-hours before chaining myself to my writing desk until something comes to me. No, I don’t. I do drink too much coffee. And I usually write poems and songs while I’m walking. MP: How does the current political landscape affect your art? SMS: I really wish I could say it motivates me to use words or music as weaponry, but so far it has only made me stare at the wall a lot. I’m working toward being somewhere in between by summer. 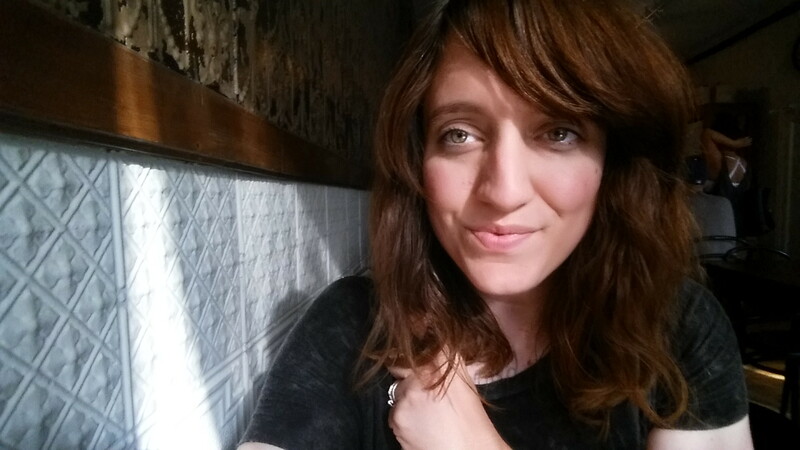 read my interview with the inimitable Shannon Moore Shepherd!